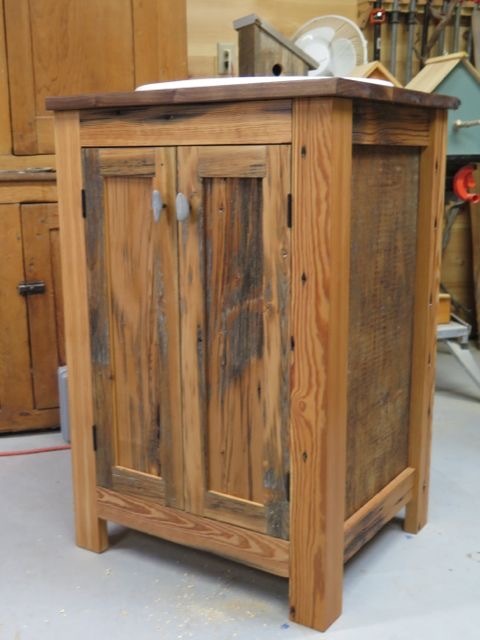 This was created using found wood and designed specifically for my client. I created the door pulls using beach pebbles. This piece is unique and one of a kind.